We’ve said it before and we’ll say it again: growing cannabis is not like growing tomatoes – you can’t just pop a seed in some dirt on a windowsill and expect to harvest buds in a few months. 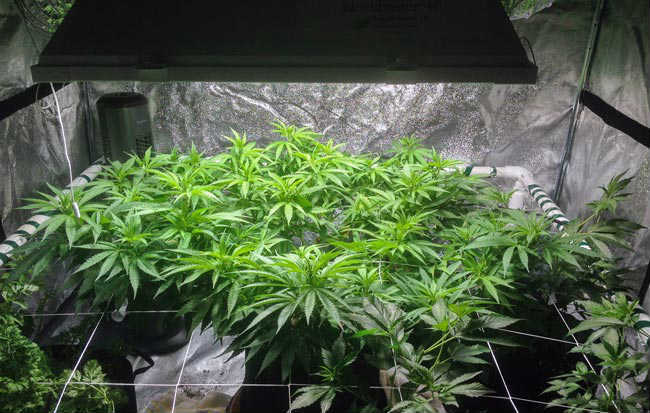 There are countless articles on the internet outlining the best ways to grow marijuana at home including the best grow lights, the best soil, the best watering practicesand so on. But despite the heavy focus on ways to protect cannabis plants from pests and stress, marijuana plants are pretty darn hard to kill. Sure, extensive stress can reduce bud production or increase the likelihood of growing seedy weed, but short bouts of stress are no match for a strong cannabis plant. In fact, some stress can actually improve growth and cannabinoid production which we’ll discuss more in just a bit. Though there are certainly ideal conditions in which to grow cannabis plants, they are surprisingly resilient to environmental stressors like damage and temperature fluctuations. For example, though the ideal temperature to grow marijuana is between 60 and 80 degrees Fahrenheit, they can bounce back from excessive temperatures by watering them generously, protecting them from prolonged heat (with fans for indoor grows or a tarp for outdoor grows), and feeding them a little seaweed extract to increase nutrient absorption that gets blocked when a water source runs dry. Cannabis plants have been known to bounce back from many different ‘growing’ pains. Cold temperatures provide another source of stress to cannabis plants. When cannabis plants freeze, the water inside of the plant walls freezes which causes damage to the cells therein. Though a slight frost is concerning, if the plant can thaw out slowly, the damage will be minimal and a light pruning of dead leaves and stems can bring it back. If the plant experiences a hard freeze, though, the damage may be too excessive to recover from. Protecting your plants with a cloth or makeshift greenhouse pre-frost can help protect the plants from damage or shock. Also of note, some cannabis plants are better equipped to deal with stress than others. Whether purchasing cannabis seeds online or clones from a dispensary, it’s important to understand the ideal grow conditions and tolerance level of each plant. For example, strains like Killer Queen, Northern Lights, and Critical Jack are all known for their high stress tolerance and ease of cultivation whereas strains like Thai Passion, Maui Wowie, and Headbandare considerably more difficult to grow. 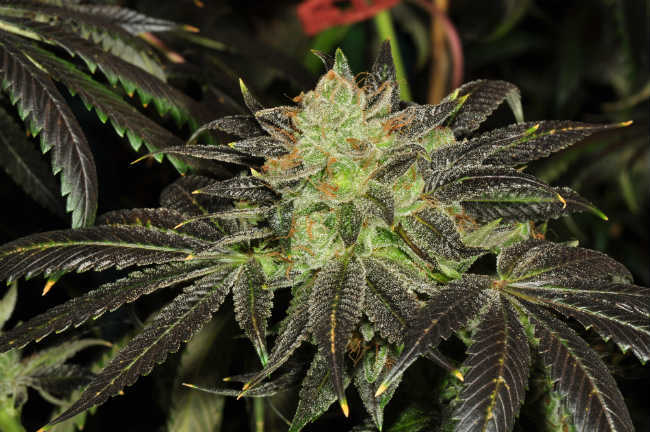 Some of the most common reasons strains have difficulty navigating stress include size (which makes them more prone to burning in indoor grows) and an inability to fight off mold and pests (which can be exacerbated by excessive watering). Though we’re still uncertain of the exact origin of cannabis, we know that different strains come from different climates and that their grow patterns reflect their adaptability. For example, indica-type cannabis strains originated from the variable climate of the Hindu Kush mountain range. As a result, these strains have adapted their grow habits to meet the conditions of their environment; smaller plants with shorter grow cycles helped ensure these plants would grow to maturity despite an impending cold season. 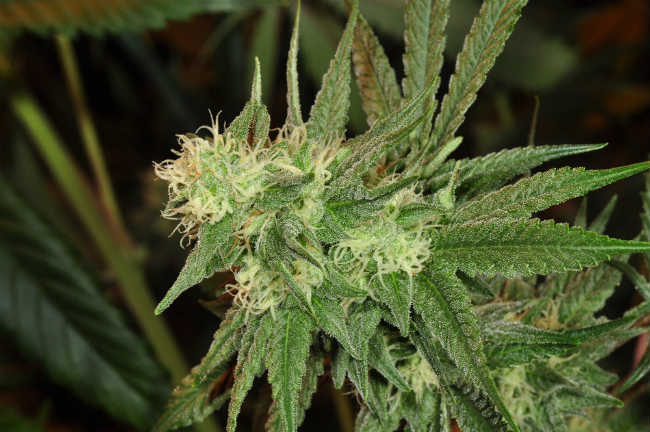 Conversely, sativa-type cannabis strains which originated from more a temperate climate along the equator evolved their grow habits to accommodate the longer, hotter summers by growing very large and often produce fluffy buds that stretch the length of their long stems. For this reason, sativa strains tend to be better able to withstand high temperatures but may not do as well in cooler, wetter environments. The cannabis plant has many internal survival mechanisms. Cannabis also produces seeds as a survival mechanism; when the plant becomes stressed, she may turn hermaphroditic (female plants that produce seeds) as a means of preservation. If she is in a stressful environment not conducive to her own survival, producing seeds helps ensure that her offspring will carry on her legacy. She may also produce more trichomes or accessory colors to protect her from the sun or harsh UV-B rays and will grow more colas when pruned or manipulated using the SCROG training method. One of the most common ways growers use controlled stress to improve plant production is by training them with something like the SCROG (Screen of Green) method which guides plants as they grow through a series of screens to maximize light exposure. By increasing sun exposure in the center, cannabis plants are encouraged to produce more stems which will eventually produce colas and thus more flowering buds. This outcome can also be accomplished by bending the main stem to the side or by pruning the main stem (a.k.a. “topping” the plant) during its vegetative stage provided that the plant is healthy and contains four to five nodes. Topping the plant will cause it to produce two new nodes just below the site of the cut resulting in a bushier plant and a larger harvest. SCROG, or screen of green, is a popular method of stress-training. Another common tactic used to encourage cannabinoid and terpene production in cannabis is by exposing them to UV-B lights after the plants have flowered for about two to three weeks. Because UV-B rays are so harsh (they give us humans sun burns), exposing cannabis plants to this type of light at the right time encourages the production of terpenesand cannabinoids which act as a natural sunblock for the plant. Trichomes not only help reflect the light off the leaves, but also emit a terpene cloud in high temperatures to cool the plant naturally. By using UV-B light at just the right time during the flower cycle, growers can increase trichome production without damaging the plant. Dropping the temperature in the grow room a few degrees at night can also have the same effect, this time thanks to the trichomes’ natural insulating capability. When it comes to stress, most of us agree that it’s best to keep it at a minimum (this goes for both plants and animals). However, sometimes a little stress is beneficial because it improves resilience and increases output. Though stressed plants should always be monitored and carefully nurtured, the fact is, cannabis is very resilient and may thrive in (carefully controlled) high stress environments.